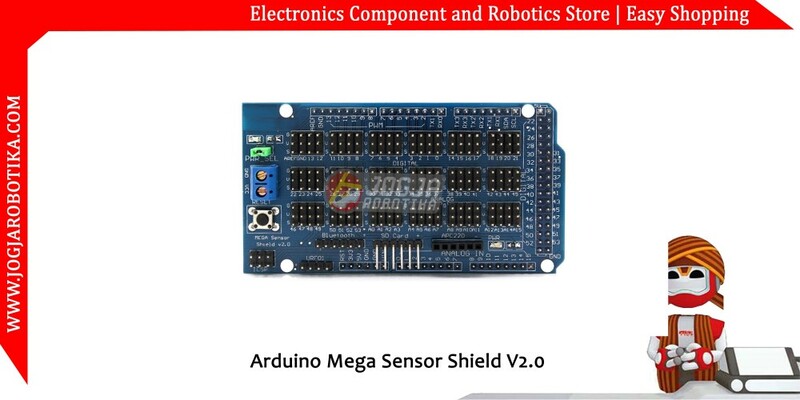 This mega sensor shield v2.0 allows you to hoop up the sensors directly to Arduino mega(1280) or Arduino mega (2560) or Arduino mega(ADK) without the use of the breadboard. it also expand the mega with Bluetooth module communication interface ,SD card module communication interface, APC220 radio-frequency module communication interface, RB URF v1.1 ultrasonic sensor interface and ICSP interface. easy to use for extension.